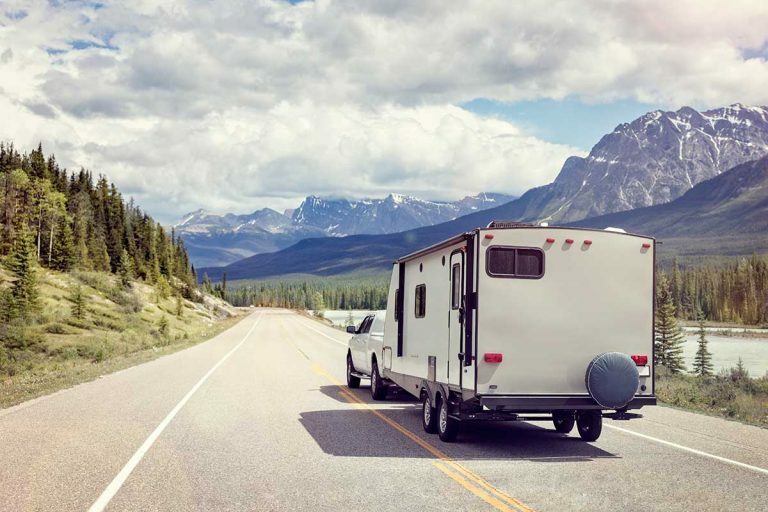 Can you park an RV on the street in Las Vegas? Please keep in mind that any parking provided for free by a private entity is subject to change. I recommend calling the business to verify that they still allow parking, and what their rules are for where to park and for how long. When you take a look at this list, you will see that most Walmart locations are not on it. You may have noticed that Walmarts across the United States are becoming more restrictive about their parking. At this time, most of the Walmarts in the Las Vegas area do not allow overnight parking. Other RVers have reported threats of being towed just for entering the lot to go shopping. 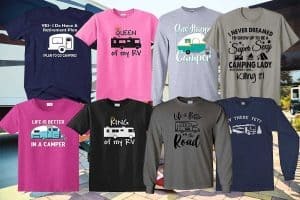 There appears to be one remaining that still offers parking for RVers, and they are listed below along with some other ideas. The closest Walmart to the Strip is at 5198 Boulder Highway. Several sources list this location as still allowing RV parking with users commenting they have been told they can stay for up to 24 hours. The Longhorn Casino is next door, with the Eastside Cannery Casino across the street. The Strip is about 8 miles away, with access by car, bus, taxi or rideshare. The Eastside Cannery has a shuttle to the Strip and its sister casinos, although their website does not give a lot of details about whether it’s a free or paid shuttle. There are a few truck stops in and around Las Vegas where you may be able to get free parking for a few hours, or overnight. The Love’s Travel Stop at 12501 Apex Great Basin Pkwy, Las Vegas, NV has 80 parking spaces and also a dump station. I did not see any notes on their website about a fee for parking, unlike the Petro and TA truck stops in the area. 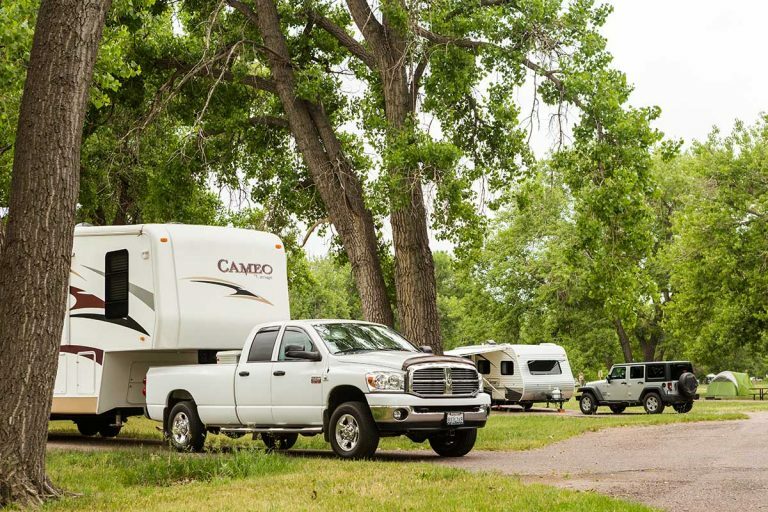 Love’s often provides free parking for RVs, depending upon availability of spaces and how long you want to stay. We always ask permission first. 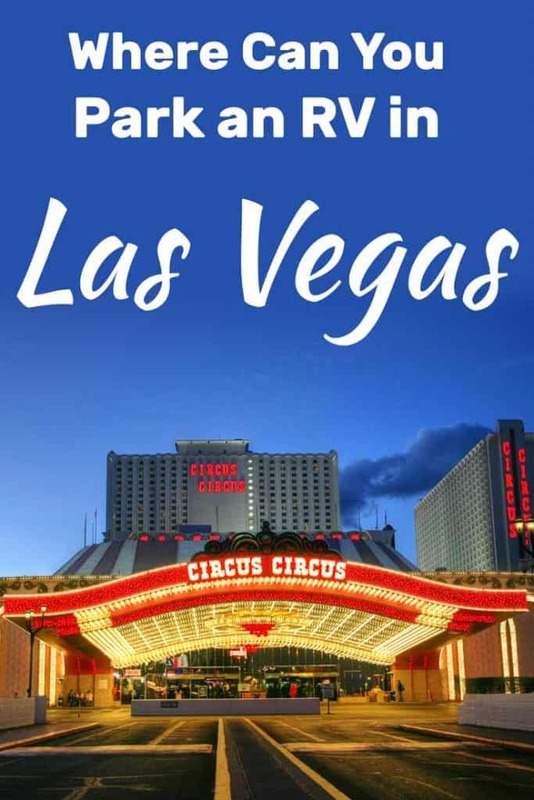 This Love’s is in a relatively remote location, so this would not give you easy access to the activities along the strip or downtown if you don’t have a car. While it costs $30 per year to join Boondockers Welcome ($15 if you are also a host), there is no additional fee to stay with any of the hosts. I just checked their website, and there are currently three hosts available with spots, allowing stays from 2-5 nights. Some even have partial hookups. At the going rate for campgrounds in Las Vegas, your Boondockers Welcome membership would pay for itself with your first night’s stay. 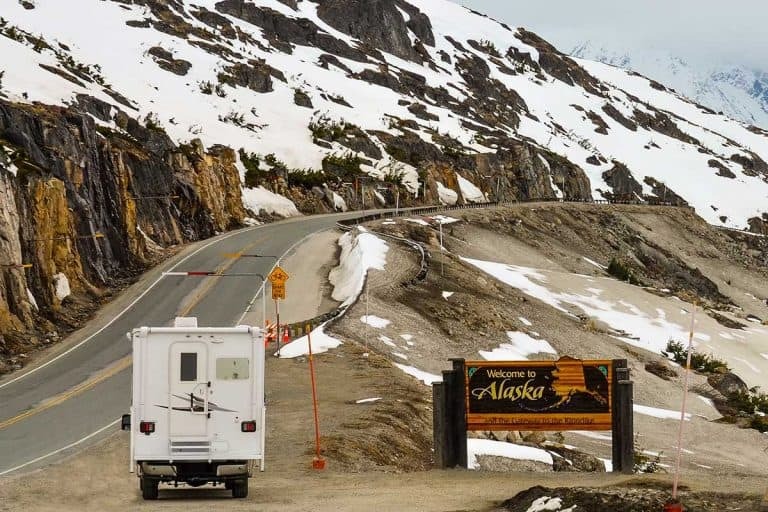 If you want a place to park your RV for a short period (but not overnight), you have very few options. Most of the hotel/casino lots only allow RVs to park if you are a registered guest of the hotel, but you are not allowed to sleep or camp in your RV. I listed the only resource I could find that allows daytime parking, plus some of the better local campgrounds. Because they have events here that require a lot of equipment, the convention center has loading docks and what they call truck parking. Per the convention center’s Building User’s Manual, parking is $10 per space, with longer vehicles charged accordingly. 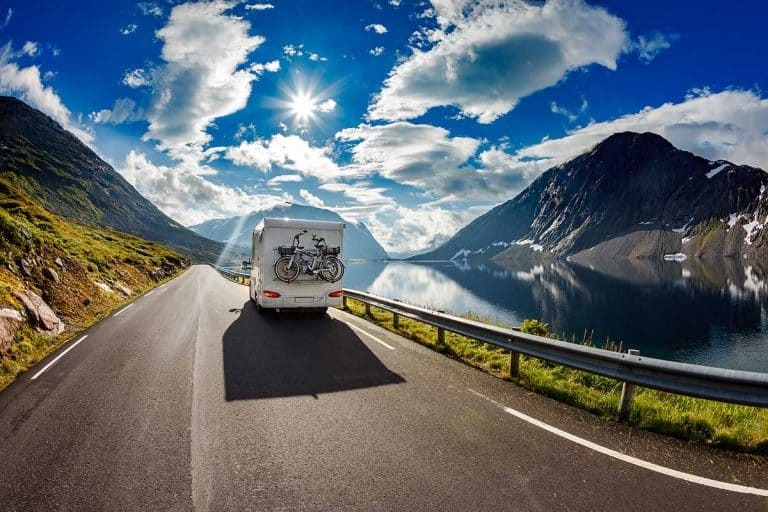 “Privately owned, enclosed vehicles (e.g., box vans, RVs, enclosed trailers, etc.) are permitted to park in the Bronze and Platinum lots when available.” However, overnight parking is prohibited. The Convention Center is only one block from Las Vegas Blvd, making it an easy walk to amenities for a daytime visit. This campground is only about fifteen minutes from the casinos, right on Las Vegas Blvd. The park has a lot of amenities and is reasonably priced. There are a lot of seasonals and residents at this park, but they should still have plenty of room, with nearly 200 spaces. While you won’t hear noise from the strip, you’re still on a busy street and near Nellis Air Force Base. Expect airplane noise. While we’re on the topic of Nellis Air Force Base: if you’re a DoD cardholder, you can stay at this military-only RV park. For as little as $22 per night for full-hookups, this rate beats out the dry camping prices at the casino lots. Plus, I’m sure it’s much more secure than a parking lot! The park also has showers, a laundromat, and restrooms. This park is only about 10 minutes from the Strip. The location is also closer to other amenities, grocery stores. New management took over in 2017, and guests report that nice upgrades have been made. The website doesn’t have any pictures, but reviewers mention pull-through sites, laundry, a pool, and a hot tub. The rates are very affordable. This resort is probably the most luxurious in Las Vegas. Just a heads-up, the prices are double or triple the cost at other RV parks in the area. Plus they charge $10 per day for electricity if you stay for less than a month. The amenities seem nice. They have an operated security gate, a 10,000 square-foot clubhouse, a restaurant, pools, spas, fitness center, and more. Some lots are privately owned, and owners have access to additional amenities. This is my favorite RV park in Las Vegas. It’s just a short drive to the strip, and there are many services within walking or driving distance. It’s also a gated community with a guard at the gate 24 hours per day. They have over 100 pull-through sites, plus almost 300 more sites. Amenities include laundry, a pool, and spa. Lots of people stay here year after year. It’s usually quiet at night, especially if you’re in an inner spot. The prices are reasonable as well. Take note that this park is adult-only. Some hotels do still allow parking an RV, but we’ve noticed this number dwindles with each passing year. The number of casinos that have free parking, even for small passenger vehicles, gets smaller all the time. For example, the lot behind Bally’s used to allow RV Here are the few I found that allow an RV to park. This long-standing hotel and casino also have an RV park at the back of the property. This campground has a great room with TV, seasonal pool and hot tub, dog park, and laundry facilities. The location is right in the busy area of Las Vegas, so don’t expect it to get very quiet at night. But you can’t beat the location and convenience. This casino may also allow “oversized vehicle parking” in the RV area for “an additional $20 per day.” It’s a little confusing from the website what the $20 is in addition to, but I’m guessing it’s the valet fees. Either way, you aren’t saving much by dry camping there, you might want to pay the extra money and get hookups in the park. This casino RV park is in the downtown area, right next to Fremont street. From there it’s relatively easy to get transportation to the Strip. Most reviewers state the campground is just a basic parking lot, with tight spaces and no amenities, plus lots of ambient noise. However, they appreciate the level sites and convenient location. 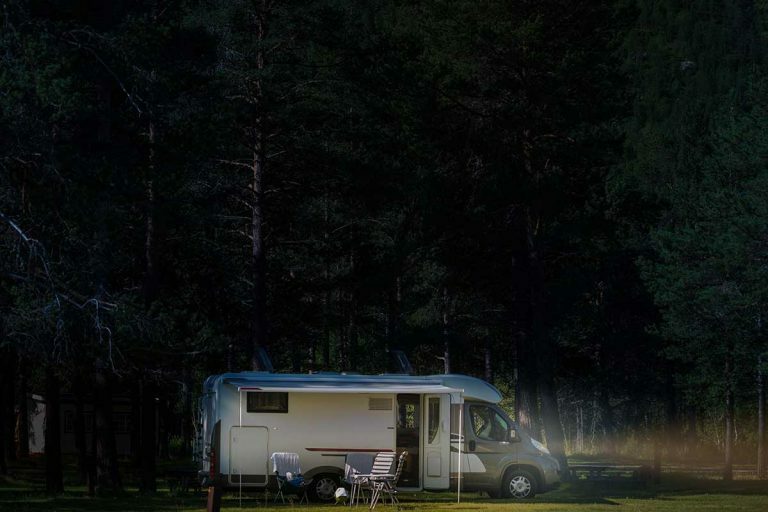 This casino RV park is pet-friendly and has a clubhouse, fitness center, laundry, and access to all the casino and hotel amenities (including a pool and spa). It’s an easy drive to Las Vegas Blvd, or you can hop on a bus right outside the casino. Boulder Highway is still a busy street, but this is a quieter alternative to staying on the strip. Sam’s Town Gambling Hall is affiliated with the RV park next door, which is a 500-site KOA with all the usual KOA offerings. This off-strip casino boasts a 25,000 square-foot park with a waterfall, plus other activities, including many restaurants, a movie theater, and bowling alley. But if they don’t have enough for you, their free shuttle runs to and from downtown, plus a couple of locations along the Strip. There is also a lot for oversized vehicles, but I believe it’s only for registered hotel guests. This Wyndham property is on a side street off Las Vegas Blvd, by Planet Hollywood and the Hard Rock Cafe. Recent reviews on TripAdvisor mention a great location, but that the hotel is very run-down. However, they do offer RV parking on-site to hotel guests. The website does say parking is free. This casino also has a convention center on its property, and they have a large overflow parking lot where they allow trucks to park. I recommend you contact the property for permission and details about any fees and other rules. The large lot behind Bally’s allows RVs to stay overnight, at the price of $15 per night (as of March 2019). One user reported their total length as 65 feet and was able to park there. Visitors state the area is reasonably quiet at night, but some people got their bikes stolen, as the parking lot is not secured. However, the casino itself is on the Strip, so the location is ideal. This off-strip casino is on Sahara Ave by the I-15 freeway. Reports from a few websites mention RVs are OK to park in the lot for free if you are a guest of the casino. I recommend contacting the hotel for more information, as there is nothing on their website about parking. Another favorite along the strip, this property also features a large indoor shopping center. Parking spaces in the garage and oversized lot are not free and have an additional $20 fee added for large vehicles. 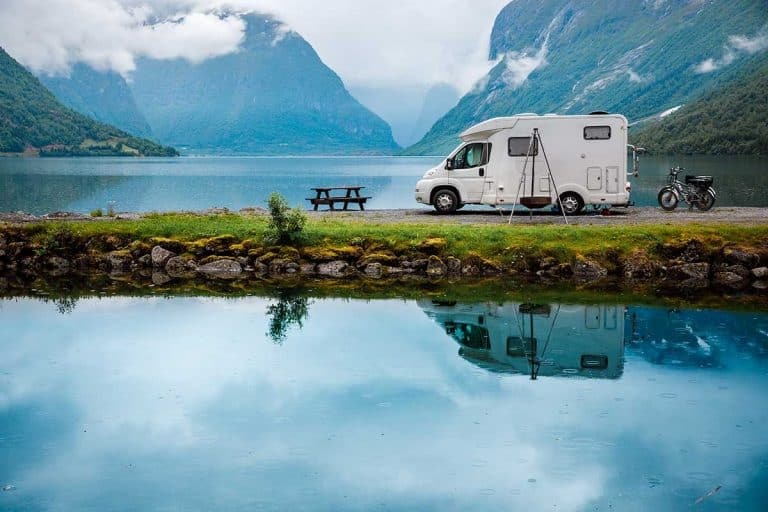 At the rates they charge, it would be cheaper to stay at a local RV park–though with few exceptions, these will not have the same excellent location. As with most other MGM properties, this hotel/casino no longer offer free parking. There is a fee whether you park yourself or use the value service, plus $25 per day for oversized vehicles. According to Las Vegas code enforcement, living or camping in an RV outside of an RV park is not allowed. Clark County civil codes state that an RV may be parked on the street for up to 72 hours, presumably only if it’s unoccupied. 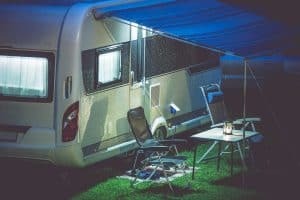 Although some people will probably go against these regulations, you are risking a knock on your door in the middle of the night (at the very least), or a ticket. At the worst, they will tow your RV away while you’re inside a casino. 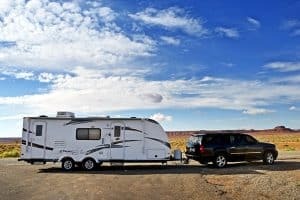 I hope this list helps you find a good place to park your RV in Las Vegas. Enjoy your stay!